The Diploma in Hospitality Operations requires students to undergo a spectrum of competency and skill-based training, covering the operational aspects of the hospitality and food and beverage trade. Delivery will be focused toward instructional and practical exercises – more “hands on” learning so that students get to do more, rather than listening and absorbing facts and figures. Theoretical concepts will still be taught to provide basic knowledge of the hospitality industry. The theory/practical blend is around 30:70. The course is structured with the primary learning objective of developing students to become practical, competent, and functioning practitioners in the international hospitality and tourism sector. The increasing levels of globalisation brought on by this technological age have opened the hospitality industry up to an exciting variety of culinary options. Together with these new opportunities come new challenges of familiarising practitioners with the wide choices in food, beverages, cultural styles and dietary needs. This module will serve to provide an overview of some of the options and requirements for food and beverage operators in the globalised context. The Food and Beverage sector is an integral component of the hospitality industry and has a unique role in expanding economic opportunity being universal to human life and health. This module provides students with an overview of the food and beverage industry and an introduction to food and beverage operations. Students will gain an understanding of the operational aspects of food and beverage operations for an international clientele in a range of establishments. Professionals in today’s hospitality sector face many challenges in this industry, therefore a good perspective of how other departments work especially in the areas of Front Office and Housekeeping where the majority of revenue is generated and where service is of the utmost importance is paramount to a successful hospitality business. Today the Hospitality industry requires its new staff to be work ready by having food theoretical and practical experiences which makes them easier to train. This module focuses on two elements; one being the academic theories of Front Office and Housekeeping and two, the practical side of these operations, thus giving students the opportunity to put theories into practice within a controlled environment. The Food and Beverage (F&B) industry thrives through factors of the business that are either controllable or uncontrollable. External forces such as location and customer preferences are those that are rarely controlled. Cost and system controls are those that F&B managers can manage in order to achieve desired profits. When F&B operators are able to skillfully and creatively combine knowledge and kitchen resources, then success becomes attainable even in very competitive markets. This module will provide the basic knowhow and the fundamental skills in food, beverage, and labour cost controls. Events are short-term phenomena bounded in time and space in organisational calendars. Although temporary, they need to be run professionally as the organisations operate in complex business networks. From mega events to affairs with small set-ups, events are organised diversely to be vehicles for various occasions; to contribute to and fulfill wide societal, organisational and cultural purposes. This module provides an overview on designing and organising events, and related measures to make them successful and safe. Given the intensity and unpredictable nature of working in the hospitality industry, immersion in an actual hospitality setting will further a student’s capabilities, perhaps regardless of any extent of instruction or practical simulation. This portion of the course aims, where possible to provide students with that immersion and enhancement. Students are introduced to the basic principles and practices of communication. They will acquire the necessary conceptual foundation for future practical applications. Students will learn how to become composed, credible and articulate speakers in a variety of professional situations. Special attention is paid to identifying and developing verbal and non-verbal communication skills, as well as cultivating strong and expressive vocal characteristics. 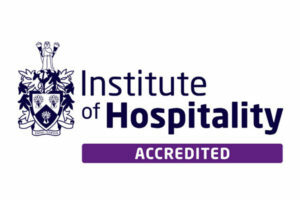 Get Your Diploma Programme in Hospitality Operations! 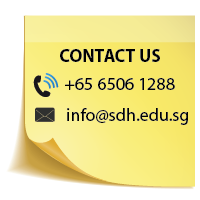 Start Your Diploma Programme Journey Today!